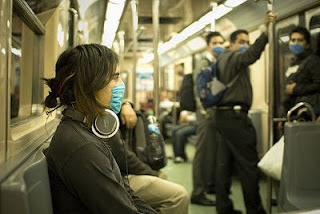 Citizens in Mexico City have been urged to remain calm now that A/H1N1 – the notorious “swine flu” than caused the pandemic in 2009 – has resulted in four deaths within the capital, also known as the Distrito Federal or Federal District. All four of the deceased had presented themselves to hospitals with serious symptoms of influenza. In total, nine individuals have died this season of swine flu in the country, with 573 cases detected. The A/H1N1 strain represents approximately 90% of the detected cases of influenza in Mexico. Mexico City’s health secretary, Armando Ahued, said that the city had over 120,000 vaccine doses against A/H1N1. These can be given free of charge to high risk populations such as children, pregnant women, and the elderly. Osuna further said that the capital will close schools if necessary. He reminded vulnerable populations to call 5741 1566 to receive a prescription for the vaccine. With this prescription, an individual can present himself/herself at any health clinic within the Federal District to receive the vaccine. To ease public concern, Mexico City’s mayor Marcelo Ebrard said that the number of influenza cases is actually lower this year than last. Symptoms of A/H1N1 include a persistent, severe headache, body aches, joint pain, runny nose, sore eyes, and a fever over 38 degrees (100 Fahrenheit).